The KS9500 Series TVs deliver some of the deepest black levels yet from an LCD TV. 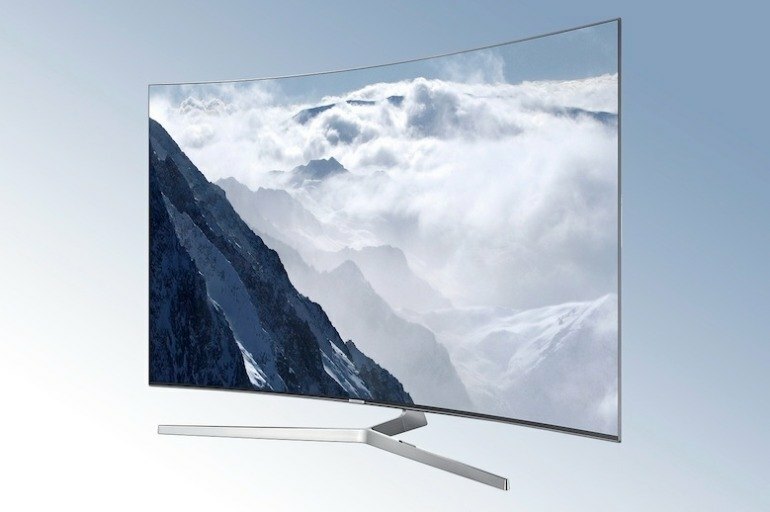 As the first LCD sets to wear the Ultra HD Premium badge, Samsung's KS9500 Series models can manage the 1000 nits brightness that's recommended for High Dynamic Range viewing. Samsung's ultra black anti-reflective filter for the KS9500 Series is effective in reducing screen glare in bright rooms. The high light output required for displaying HDR content results in some light leakage when viewing letterboxed movies on KS9500 Series sets. 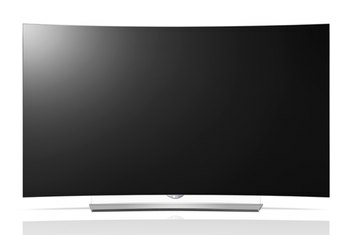 As with many other LCD TVs, picture contrast with Samsung's KS9500 Series diminishes when viewed from off-center seats. The KS9500 Series curved screen adds to the set's cost without delivering any real benefit. Samsung’s KS9500 Series Ultra HD Premium LCDs are designed to extract the best image quality from High Dynamic Range sources. They manage this by delivering powerful brightness along with deep blacks for an exceptionally high-contrast picture--one that holds up even when it is viewed in well-lit rooms. The low input lag makes this a great gaming TV. Like many other LCDs, picture quality suffers when the set is viewed from off-center seats. 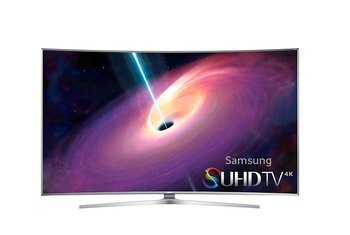 Samsung's KS9500 series sets are available in 55-inch and 65-inch models. 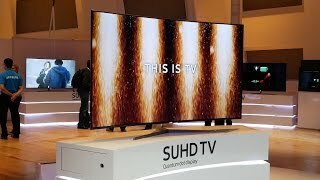 [W]e don’t like the fact that Samsung has gone with edge-lit display technology in even premium 2016 4K TVs like the KS9500. In the case of this TV, it also results in some very mediocre local dimming performance. Specular highlights in some HDR images made objects literally glow out into the room. Better processing produces a great picture quality even with streaming video signals. 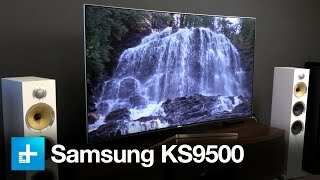 The Samsung KS9500 is a well balanced TV that looks very nice and produces a wonderful picture. Sports and video games look great on it but it really is movies that shine the most. 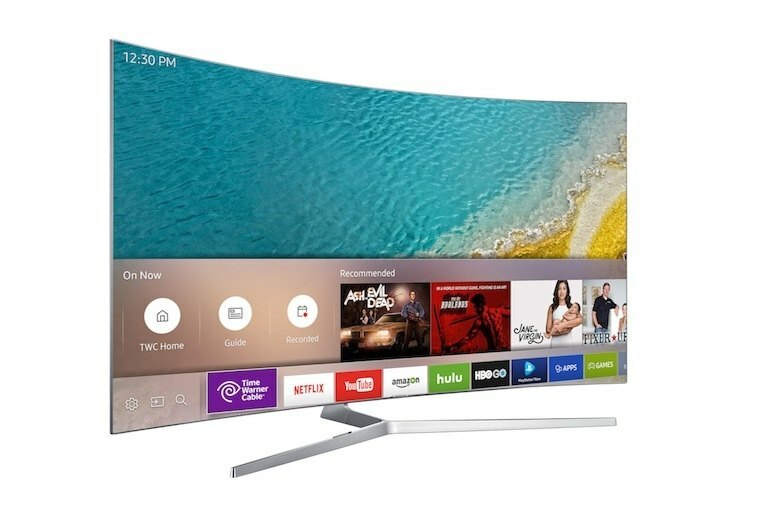 We can think of no other 2015 or 2016 4K TV with sharper motion or faster gaming response. 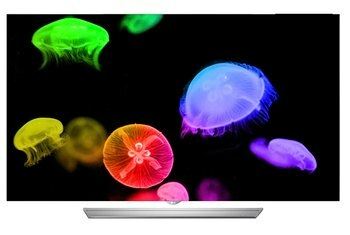 Overall, watching HDR delivered by Ultra HD Blu-ray on the UN55KS9500 really does feel like somebody has finally turned the lights on in the TV world. Though it isn’t our cup of tea, the KS9500 is probably going to be a successful model for Samsung. The KS9500 has a sleek and stunning design, but still manages to cram some technological marvels in its slim chassis, somehow. What's more, the KS9500 may end up with a real trump card (for some shoppers, at least) if its promised SmartThings functionality plays out as promised. 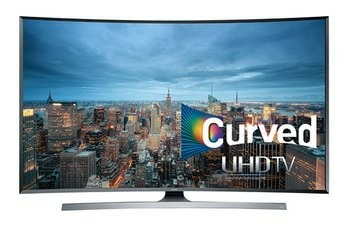 There is no denying that Samsung KS9500 is a gorgeous TV. The edge lit backlight has allowed Samsung to make it much thinner than last year’s JS9500 model. 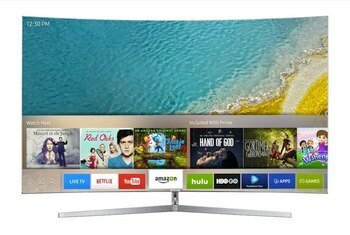 Samsung calls it a "frameless curved design".